On Freethought Radio Dan Barker and substitute co-host Andrew Seidel discuss FFRF’s freethought display in Daley Plaza and proselytizing Clemson University football coach Dabo Swinney and announce a major FFRF legal victory stopping prayer at city council meetings in Pismo Beach, California. Then they talk with author and Johnstone Professor of Psychology at Harvard Steven Pinker about why he has agreed to become FFRF’s first Honorary President. 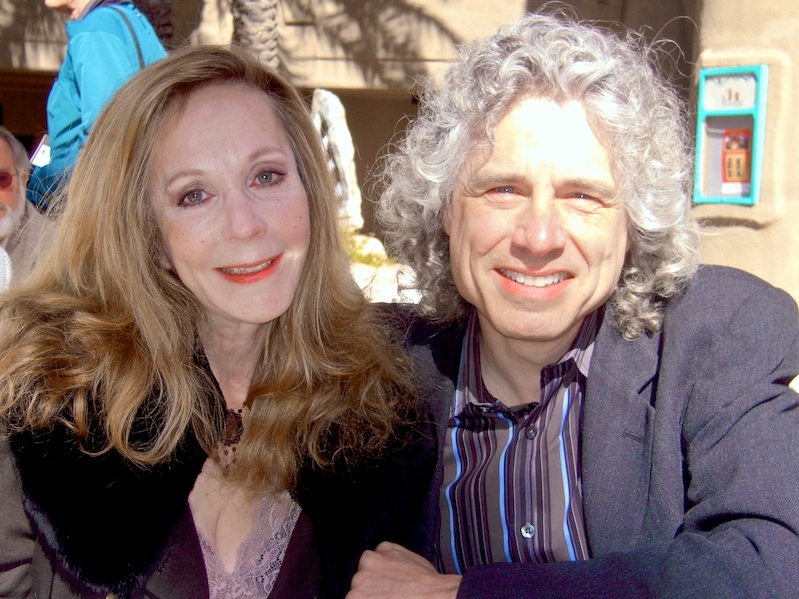 In hour two of Skeptical Sunday we’ll hear from the other member of what’s been called secular humanism’s intellectual “power duo,” novelist and philosopher Rebecca Newberger Goldstein and a talk she gave at least year’s Women in Secularism II conference entitled “The Mattering Map: Religion, Humanism, and Moral Progress.” Wedged in between there, somewhere, we’ll hear infectious disease M.D. Mark Crislip discuss a published study of hickey medicine also known as “cupping” and a track from the album “Infidel Rising” by hip hop artist Tombstone Da Deadman.